Should Louisiana be classified as the 25th state to pass a workable medical cannabis law? Some advocates say no, arguing that Louisiana lawmakers have not passed a measure to protect businesses and professionals from prosecution. Others, however, are convinced that an MMJ industry will emerge regardless. “It’s not anywhere near where we want it to be, but I do believe … it will work,” said David Brown, president of Sensible Marijuana Policy for Louisiana (SMPL). Louisiana state Sen. Fred Mills, the sponsor of two bills establishing the new system, also is bullish. “I really have a governor that makes sure we do everything correctly, and with the governor’s office working side by side with me, I think we’re going to implement this. I really do,” Mills, a Republican, said. Last month, Louisiana Gov. John Bel Edwards, a Democrat, signed Senate Bill 271 to create what could become the South’s first workable MMJ program. The move paves the way for medical marijuana to be available to patients for the first time in Louisiana history. The measure changed an important provision in Louisiana’s existing MMJ law, which failed to establish a functional system. The new law allows physicians to recommend cannabis, versus prescribing it. That’s expected to bring doctors into the fold, because it won’t force them to risk their physicians’ licenses by prescribing a Schedule I narcotic, which is illegal under federal law. The new law allows up to 10 MMJ dispensaries. Only one marijuana cultivator would be allowed to operate – and that’s only if two Louisiana universities pass up the opportunity to grow medical cannabis. While it’s a major step forward, supporters concede the law is imperfect. One problem: A companion bill, Senate Bill 180, grants MMJ patients and caregivers immunity from prosecution. But the bill – which the governor is expected to sign – doesn’t grant the same protections to individuals involved in production and distribution. “Until there are legal protections for workers, it will remain unworkable from MPP’s perspective,” said Maggie Ellinger-Locke, a Marijuana Policy Project legislative analyst. Brown said that’s likely a moot point. He’s already spoken to at least one lawmaker who’s committed to fixing that flaw in the next legislative session, which convenes April 10, 2017. “By the time we get to someone being licensed, we’ll have another legislative session under our belt, and this is a primary target for lobbyists and advocates and some lawmakers,” said Brown, who estimated that the earliest the state’s industry will be operational will be sometime in 2018. It’s also worth noting that Louisiana has made slow but steady progress over the past year. In 2015, Mills, the Republican senator, guided into law a bill he knew was unworkable because it contained the language requiring that physicians prescribe MMJ. But Mills told Marijuana Business Daily in June 2015 that his aim was to get something set into law to establish the legality of medical cannabis – so it could be amended down the road, which is exactly what happened this year. Mills also said his plan is to get those same protections set in law for would-be MMJ companies. Mills estimated the licensing process for dispensaries under the state pharmacy board will likely begin in the fourth quarter of this year, but patients probably won’t be able to purchase medical cannabis until late 2017 or early 2018. Ellinger-Locke of MPP said she’s also hopeful the system will be improved upon during the next legislative session, and that in the meantime the state can begin working on industry rulemaking. 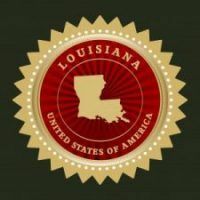 Brown reckons entrepreneurs – specifically licensed pharmacists, as required by law – will be willing to tempt the wrath of the Louisiana justice system to set up dispensaries, even given the risk of being charged with intent to illegally distribute cannabis. That carries a potential sentence of five to 30 years in prison and a $50,000 fine in Louisiana, according to the MJ advocacy group NORML. But facing down law enforcement hasn’t stopped marijuana businesses in states such as California, Michigan and Montana. There’s also the question of how long it will take the state pharmacy board, which will oversee the 10 dispensaries, and the Louisiana Department of Agriculture and Forestry, which will oversee marijuana cultivation, to establish rules for the new industry. In other states, that process has often taken over a year, which Brown thinks will provide policymakers enough time to tweak the law so to become a functioning MMJ program. As for why SB 180 doesn’t offer immunity to those who would be in the cannabis industry, Mills said that was “as far as I could take it this legislative session,” given that there’s still a good bit of political resistance to MMJ in general. A bright spot for out-of-state cannabis businesses: Louisiana State University and Southern University will have the first crack at MMJ cultivation. They have until Sept. 1 to decide. If they say yes, as expected, they may ask the private sector for consulting advice. “I think they’re going to end up leaning on the private sector to help them accomplish this, the growing, the testing and the research,” Brown said. Clarification: An earlier version of this story said that David Brown disagreed with MPP’s analysis of Louisiana’s MMJ system. However, the two are much more in agreement than not, given that both see a need for future tweaks to the law. The story has been updated accordingly. Wouldn’t the universities risk their federal funding by becoming direct cannabis producers? Even here in Colorado some universities grow hemp under the protections of the federal Farm Bill, but none grow cannabis even for research, much less for distribution for patients.